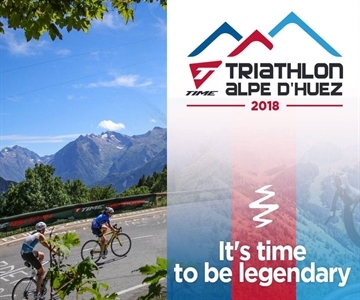 The 2013 Ironman World Champion will be on the start line of the Alpe d'Huez Triathlon L. The Belgian triathlete Frederik Van Lierde confirmed his presence at the Alpe d'Huez this summer, making this race one of his main goals of the year. Frederik kindly answered a few questions! This 13th edition could be placed under the sign of Belgium. AdH: In 2012, you finished 6th in the Alpe d' Huez Triathlon M. What do you remember about it? FvL: The race was very fast and aggressive, too short for me; -) for a long distance triathlete. But I took a lot of pleasure, it's a very nice memory! The course, the organization, the climb and the region... it was great! AdH: What is your experience of the 21 mythical bends? Could you describe a little bit of the ascension, what you learned from it? FvL: Hard to describe... The word ‘tough' is too obvious and does not contain everything. I remember that I was already in difficulty from the first bend... Going uphill during the race is very different and much tougher! Finding your rhythm without losing contact with the competition is hard to do. AdH: What does the Alpe d'Huez mean to you? AdH: Time trial bike or classic road bike? What is your option for July? FvL: Time trial bike, probably. I have the experience from Ironman in Nice and I know that over 120 km it's always faster with a time trial bike. AdH: This will be your first time on the L-format of the Alpe d'Huez... Why did you decide this year? FvL: When I looked at the calendar everything was well placed to make the L. I'm sure the distance suits me much better than the M so I really want to try it and do my best. AdH: Are you going to follow a particular preparation for this objective? FvL: Yes and no. I'm used to training in the Pyrenees (Font Romeu) where I climb a lot riding my bike. I swim and run high so my body knows exactly what to expect. AdH: Like Cristian Krammer, James Cunnama or Victor del Corral, you are an excellent cyclist at ease on any kind of course. But what kind of profile do you prefer? FvL: The hilly courses are the most honest so for me races like Nice and Alpe d'Huez, with some passes to climb, are my favorites. AdH: Do you like to get off the Ironman circuit from time to time? AdH: You'll come with your family to the Alpe d'Huez. Will your children participate in the Triathlon Kids? Have you planned any activities during the week? FvL: My children, Aaron and Simon (13 and 10 years old) still remember very well the Alpe d'Huez Triathlon in 2012. So they will surely participate in the Kids triathlon and during the week we will have fun in the resort.